We provide a safe and painless program using Natural & effective techniques. 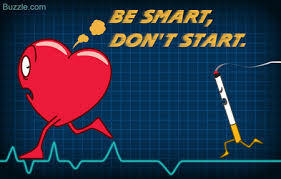 The dangers of Smoking & Why should I worry about coronary heart disease? Your heart is a muscle that needs oxygen from your blood to work properly. Coronary heart disease is when the tubes that supply your heart muscle with blood (your coronary arteries) get clogged up. If the tubes get narrower, less oxygen will get to your heart and you might get chest pain or angina . If a tube gets blocked and the blood can’t get to part of your heart, you’ll have a heart attack . WE provide a safe, painless program based on treatment technique originally researched at UCLA in the late 1940’0 & early 1950’s. Research discovered that by introducing a small and precise amount of stimulus to the nerve endings of the ear, smokers would lose their desire to smoke. 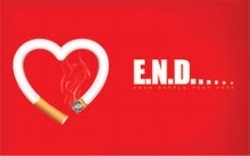 Tobacco smoke contains over 4,000 chemicals including tar and nicotine. Every time you smoke, they go straight into your body through your lungs. The chemicals in tobacco smoke can damage the lining of your coronary arteries – the tubes that take oxygen-rich blood to your heart. This can cause fatty material to build up in your arteries, leading them to get clogged up and blocked. Coronary heart disease is when the tubes that supply your heart muscle with blood (your coronary arteries) get clogged up. If the tubes get narrower, less oxygen will get to your heart and you might get chest pain or angina . If a tube gets blocked and the blood can’t get to part of your heart, you’ll have a heart attack . Smoking can do serious damage to your body, but it’s never too late to quit. If you do, you’ll be much less likely to develop coronary heart disease and cancer. You’re in control – by taking ten minutes to make a plan to quit, you could change your life. At a Path to wellness we can help you quit, FOR GOOD! Come & join us on a Path to Your wellness.